Former promoter of Shasta Speedway and the man known as The Golden Voice of west coast racing, Gary Cressey passed away the morning of February 15, 2017 at the age of 80. Cressey was born and raised in Seattle, Washington but was a graduate of Shasta High School in 1950. Cressey was the promoter and lead announcer of Shasta Speedway throughout the late 70s, 80s and 90s. His final year promoting the speedway was 1996. Cressey was also an ordained minister and beer distrubutor. In addition to his duties as a promoter, Cressey also served as the lead announcer of some of the biggest events up and down the west coast. In addition to calling events at Shasta Speedway, Cressey served as the voice of NASCAR's biggest events in the west including races in NASCAR's Winston West, Northwest Tour and Southwest Tour series. In addition, Cressey announced many of the biggest open competition events during the hey-day of open comp racing. Cressey also announced televised auto racing for Sports Channel Northwest. In all, Cressey's voice was heard at 51 different tracks in the region for over 50 years. Cressey served on NASCAR's rules and competition committee which garnered him honors over the years including Top NASCAR Short Track "Promoter of the Year" and NASCAR "Team Player of the Year". Cressey was the first recipient of the City of Redding "Volunteer of the Year" award in 1994 for his community service. In 2003, Evergreen Speedway honored Cressey with an induction into the speedway's Hall of Fame. In 2006, Cressey was inducted into the Northern California Auto Racing Alumni Hall of Fame. Cressey was also inducted into the Shasta County's Sports Hall of Fame. In 2015, Shasta Speedway renamed a boulevard near the track to Gary Cressey Boulevard. Everyone involved in racing throughout the years mourns the loss of one of the greatest announcers in all of sports. SACRAMENTO, CALIFORNIA (February 15, 2017) - The Pacific Challenge Series presented by PenneyLawyers.com has completed its 2017 schedule announcements with Ukiah Speedway set for July 29th. 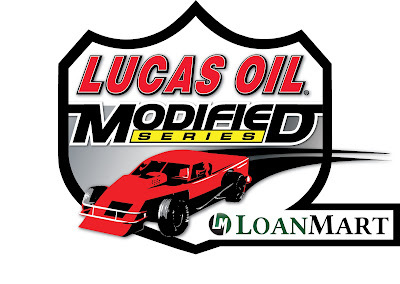 The touring Super Late Model series is set for ten races at five tracks in 2017, spanning across northern and central California. Located on the Redwood Empire Fairgrounds, the quarter-mile Ukiah Speedway has been a fixture on the series calendar from its inception. PCS and Ukiah Speedway officials aim to make the most of the sole appearance at the track compared to three visits in 2016. 2012 and 2016 champion Jeremy Doss of nearby Upperlake, CA won two of last year's races while series runner-up and 2014 champion Mike Beeler won the July race to be the event's defending winner. The 2017 Pacific Challenge Series fires off March 18th at Madera Speedway before traveling to Roseville's All American Speedway on April 15th, Shasta Speedway on May 6th, and Stockton 99 Speedway on May 20th. BAKERSFIELD, California (February 11, 2017) – The seas parted for Austin Barnes Saturday night. That’s what Scott Winters said in explaining how Barnes had passed him in lapped traffic with 15 laps to go and sped away to easily win the Spray Nine Race of Champions and open the 2017 season for the Lucas Oil Modified Series presented by RAM Mounts at Kern County Raceway Park. “We were running out of laps and I was going to have to do something pretty quick to move on him, but we ran into traffic,” Barnes said after picking up $5,000 for finishing 0.983 seconds ahead of Winters with Ryan Partridge third, Jason Irwin fourth and Travis Thirkettle fifth. The pass in a way was overdue. Winters got the benefit of a seven-car invert and started the 50-lap contest on the pole in the 23-car field while Barnes rolled off sixth, on the outside of the third row, and Winters was able to get a comfortable early lead while his pursuers sorted themselves out. After 5 laps the order was Winters, Irwin, Barnes, Thirkettle, Dylan Cappello and Partridge and as that group began to pull away from the rest of the field it was clear that one of those six would be the winner. 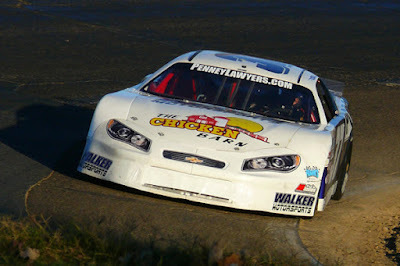 Barnes became the best candidate when he moved into second on lap 7, following the race’s only yellow caution flag and began pressuring Winters for about 15 laps. Barnes said the lapped traffic was a major factor not only in his pass but in what happened next. Barnes was able to take the cautious approach then because Cappello had fallen off the pace with carburetor issues, Thirkettle was struggling with the handling on his Stratasys Direct Manufacturing Race Car Factory Chevrolet and Partridge said he was anticipating the same kind of late-race cautions flags that had factored into his win in this event a year ago. That made Barnes feel even better about the win, because he had led the race last year until Partridge used a caution flag restart to take the lead and the win. The race did not count in the Hoosier Tire West point standings that will determine the series champion but it was the first of the three that make up the Spray Nine Race of Champions. The others will be at Irwindale (California) Speedway August 19 and the Las Vegas Motor Speedway’s Bull Ring November 18. The series 10-race championship season will get under way March 11 at Havasu 95 Speedway in Lake Havasu City, Arizona. 1. Austin Barnes (51A), Escondido, Ca. ; 2. Scott Winters (24A), Tracy, Ca. ; 3. Ryan Partridge (9), Rancho Cucamonga, Ca. ; 4. Jason Irwin (9i), Albuquerque, N.M.; 5. Travis Thirkettle (5t), Newhall, Ca. ; 6. PJ Pedroncelli (33), Sonoma, Ca. ; 7. Eric Hamilton (11h), Hanford, Ca. ; 8. Doug Hamm (9x), North Las Vegas, Nevada; 9. William Camara (57), Fremont, Ca. ; 10. Chris Cook (2), Tabiona, Utah; 11. Eric Price (57x), Rio Linda, Ca. ; 12. Tom Elam ( 8), Powers, Oregon; 13. Sierra Furia (37), Lakeport, Ca. ; 14. Jerry Toporek (40), Venice, Ca. ; 15. Jim Coffey (8c), Bakersfield, Ca. ; 16. Sal Lopez (02), Sacramento, Ca,; 17. Dylan Cappello (11), Peoria, Az. ; 18. Linny White (99), Colton, Ca. ; 19. Kyle Cline (98), Hesperia, Ca. ; 20. Cameron Morga (54), Albuquerque, N.M.; 21. Michael Womack (3), Troutman, N.C.; 22. Dave Arce (5), Santee, Ca.